Lead is one of the most toxic elements known to man. It was used extensively for many years in residential paint and was not banned in the United States until 1978. As a result, over 75% of the nation’s housing contains lead-based paint. Exposure to lead causes permanent damage to the nervous system, especially in children and pets. The Centers for Disease Control name lead poisoning as the number one preventable environmental disease affecting our nations' children. Exposure to lead causes reduced I.Q., reading and learning disabilities, reduced attention span, even Attention Deficit Disorder (ADD). Lead paint exposure is normally not a result of chewing on lead paint chips. Rather, it is a result of being exposed to invisible lead dust that may be on windowsills and floors in the home. As the lead paint ages and deteriorates, or is disturbed by repainting or remodeling, invisible lead dust is created. The initial step in preventing lead poisoning is determining whether or not your house and household items contain lead. Good housecleaning is another important element. Keep all of your children’s play areas as dust–free as possible. Frequently wash floors and windows with phosphate–rich cleansers, such as automatic dish washing detergents. Keep all toys clean by washing them often. 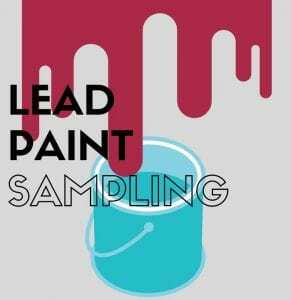 If you discover the presence of lead–based paint in your house, do not attempt to remove it yourself. Contact your local health department and seek help from a professional who has special training in lead paint removal or encapsulation.